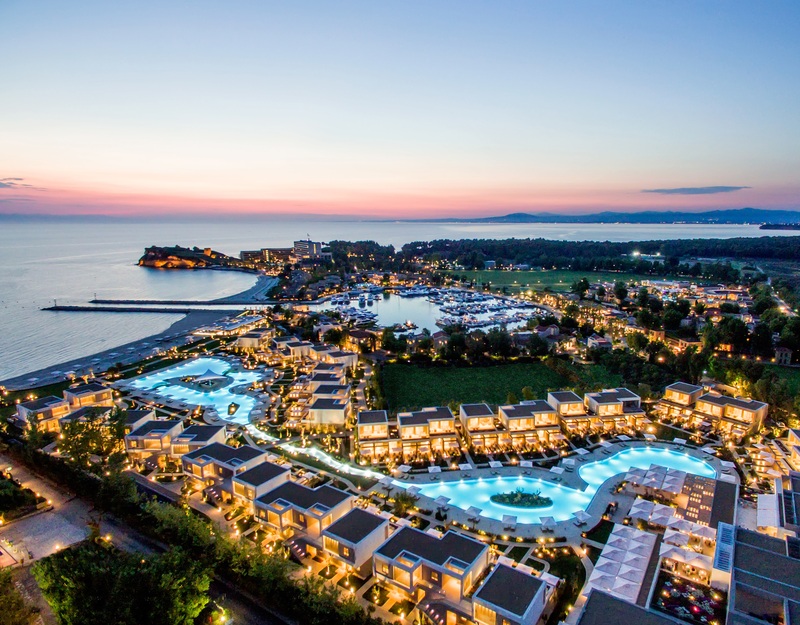 The Sani Resort, located in Halkidiki, northern Greece, was named Best Family Hotel at the Connoisseur Circle Hospitality Awards 2018, which took place recently in Germany during the ITB Berlin trade show. 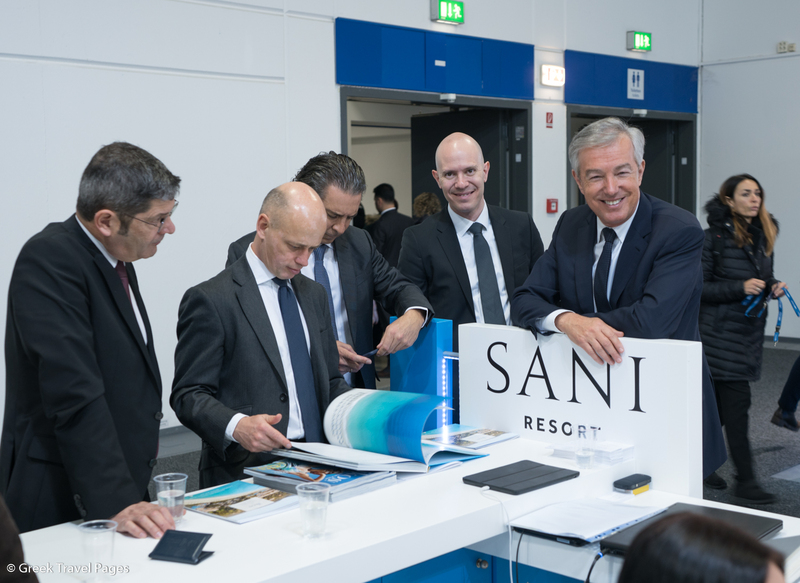 Sani/Ikos group CEO Andreas Andreadis at the Sani Resort stand during the ITB Berlin 2018. The five-star resort was awarded for the unique especially designed vacation services offered to families, an announcement said. It was selected by the 16-member team of the Independent Travel Board Connoisseur among many nominees that were proposed by a team of experts, which consisted of media representatives, travelers and sector professionals. “This recognition of Sani Resort promotes the modern image of Greek tourism and gives demanding travelers the incentive to visit the resort and live unique experiences,” Sani Resort’s management said in an announcement. Sani Resort was awarded during a special ceremony held at the Sheraton Grand Hotel Esplanade Berlin in the presence of 400 guests from all over the world. Vienna-based company Connoisseur Circle provides travelers with information in the luxury segment through the online platform, www.ccircle.cc, and the “Connoisseur Circle” print publication.